NHL News : Prospect watch: Kristian Vesalainen is adapting well! Prospect watch: Kristian Vesalainen is adapting well! Winnipeg Jets first round pick in last June, Kristian Vesalainen, seems to have found his game this season. 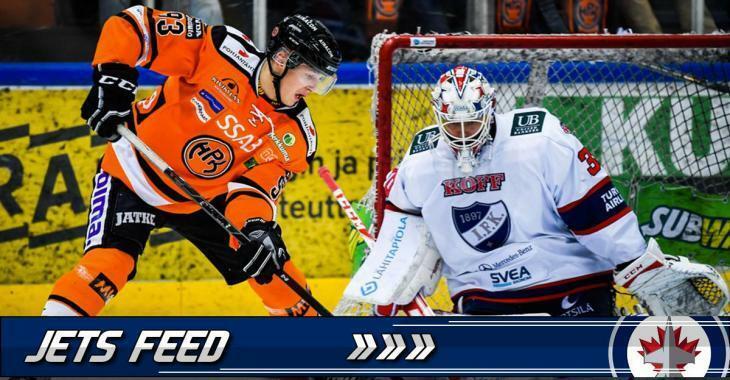 The 18-year old forward, drafted 24th overall by the Jets in 2017, registered 14 points in 22 games with HPK Mameenlinna in the SM-liiga (Finland professional hockey league). That's quite impressive, considering the fact that he is playing with players older then him. It's already his third season of pro hockey. Prior to his draft year, the Finnish forward registered nine points in 54 games played. He hasn't register a point in six playoff games. The big 6'3", 207 pounds center will certainly be interesting to watch in the next couple of years! What do you think, Jets fans? When will we see him in North America?